Still, he played his tiny part in marathon history. These days, Rich, 67, wrestles with a body that won’t cooperate—Parkinson’s disease. 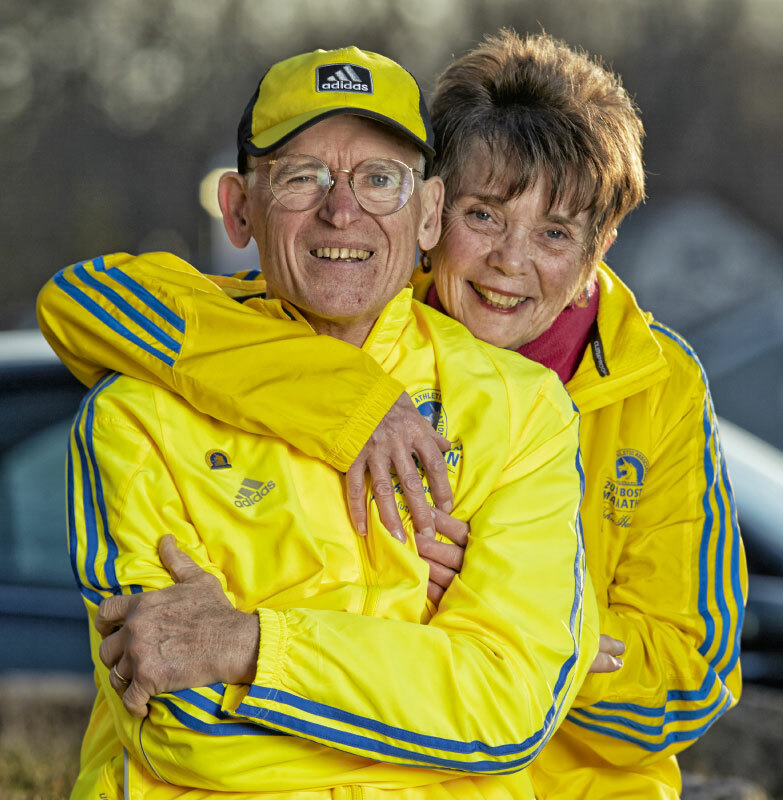 He and his wife, Christine, still work and run the Wednesday track meets for kids in Framingham, still volunteer for the BAA as they have for the past 28 years, running an 11-table water station in Ashland. Chris is a Framingham native, too, and at 65 has never lived more than half a mile from the course. In 1975 she took their newborn daughter, Richelle, in her baby carriage for her first trip to the marathon.